Not on the MLS yet. Hurry and beat the crowd!! Brand new-Almost everything! A delight to the senses. Newly painted interior and exterior, new smooth top electric range, new microwave, new toilets in both bathrooms, new garbage disposal, newly painted garage floor, new light fixtures, new ceiling fan, new wall sconces, new artificial grass in backyard, newly landscaped and landscaping maintenance is included. Immaculate! Crushed granite counters, kitchen island, great room style, wood blinds, berber carpet, large bedrooms. Refrigerator (side by side w/ice maker, washer & dryer included). North facing backs to common area. 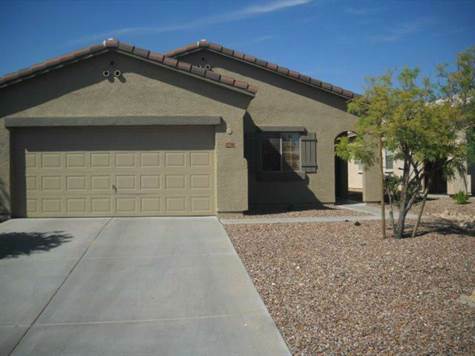 Beautiful mature landscaping..Come see the best of the rentals in Anthem. Close to schools, park, dining and shopping. Move in ready!